What are the Duggars up to this week, aside from gearing up for the return of Jill & Jessa: Counting On, which premieres on March 15th? 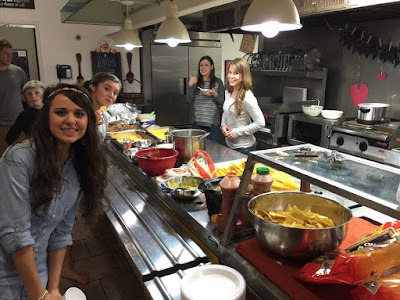 As we mentioned in yesterday's post about the Duggars' favorite foods, a handful of Jim Bob and Michelle's kids enjoy Mexican cuisine. Here's a recent photo of Anna Duggar and a few of the kids chowing down on tacos. Can you believe it's already March? That means that Spurgeon Seewald, born November 5th, is fixing to celebrate his four-month milestone in just a few days. Parents Jessa and Ben Seewald celebrated with white chocolate raspberry ice cream from Loblolly Creamery in Little Rock, Arkansas. How cute of Jessa and Spurgeon - sooo sooo cute. I like all the pics with the baby and Mom and Dad but the one with him and Jessa stood out. Cute pics of the girls in the kitchen area. Also, can't help but wonder who the guy in the back is, behind Jackson? Hope we find out on the new shows (if he is on any). Excited cannot wait for new shows! So excited for the show. I can't believe baby Seewald is already 4 months old! Their continued use of plastic & Styrofoam dismays me & countless others. They have at least one industrial-sized dishwasher in that kitchen. They have plenty of hands to wash dishes otherwise. Why do they continue to discard dishes after every meal? Their reasoning for that, if you can ever get it from them, would make an interesting blog post. Yes--I agree. It's lazy to use all the disposable plastic ware, and horrible for our environment. As Christians they should be much more aware of their actions upon God's beautiful creation. We are responsible for our planet. I can't even imagine the waste they produce in a year. While it's not the best choice, I can see why they use paper. With their busy lives, they probably don't have extra time to spend at the sink or dishwasher. It's ok to use paper now and then - give them a break! Right. I come from a family of soon to be 15 kids and we used and still use real dishes. Paper plates and cups were used on a rare occasion. As long as its recycled no worries. My community does not take any plastic that is dirty. So here, they'd still have to wash the plates off, if they even are the kind with the right recycle number. Otherwise, they are just more plastic to go nowhere but the landfill. Styrofoam, which they've posted pictures of twice recently, is not recyclable in my community, so that's a total waste. If they used paper plates, at least they'd decompose. But they don't - it's always plastic or styrofoam. Every fast food place stopped using that decades ago! 11:03 Anon, it's not paper, and it's not every now & then. If you look at just about any picture they've ever posted or any episode of the show, they're eating on plastic. A long time ago, they labeled reusable plastic cups with their names, but those have disappeared from the counter near the drink machine where they were kept. I know they've shown the Duggars loading the warehouse cart with plastic plates & utensils, and they showed those thing stacked up by the hundreds on the shelves in the pantry. The girls had (real) dishes on their wedding registries, so maybe they use them? But I doubt Jill packed up heavy dishes to take to Central America. You can't talk most cities into taking polystyrene for recycling because there are few facilities that process it, and the cost of sending it there is prohibitive. I don't know what part of Arkansas you're referring to, but even Little Rock won't take curbside plastic like that. I don't think people should " give them a break" because they don't want to stand at the sink and do dishes. They chose to produce that many children--they should then be taught to be responsible stewards of our planet. Plus how long would it take with all those " littles" on dish jurisdiction. @Anon March 5 1:57 - You can't just go ask your city to take more stuff to recycle. They have to have a place to sell it, someone that will take it off their hands. That's why cities always have a list of things you can't recycle. Hard to find anyone who wants Styrofoam & some other types of plastics that aren't easy to process after they're collected. What has to change are the manufacturers who make the non-recyclable products, and the users who still insist on buying them. In the Duggar's case, spending family time around the sink cleaning up the non-plastic dishes would be quality time that would teach housework and responsibility. Nothing wrong with that. Spurgeon looks a lot like his daddy! I'm sorry for asking, but there are rumors that Anna might be pregnant.... And she kind of look like she is on that picture. Is there been an annoncement?? Is she?? Those are just rumors. Nothing has been announced. Jessa should cut her hair to shoulder length! I think I see Jana's boyfriend in the background! so exciting!!!!!!!! What proof is there that says that the man in the background is Jana's boyfriend? 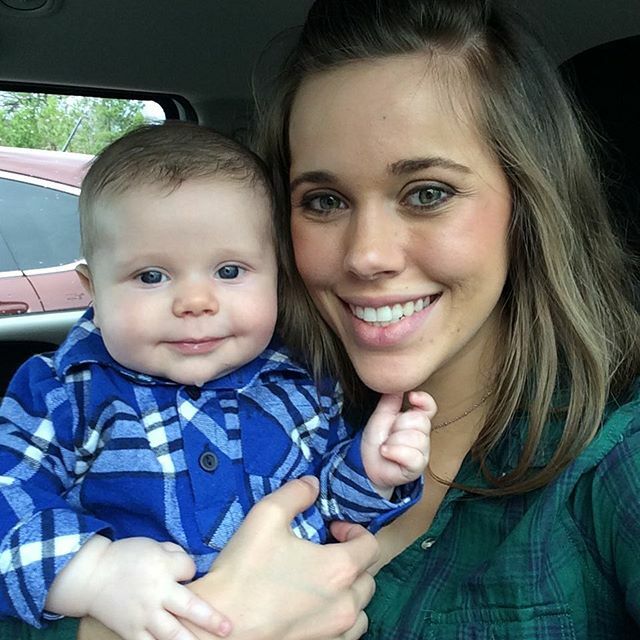 Why are people assuming he is Jana's boyfriend? Didn't think that was allowed any way. Why couldn't it be Jinger or Joy-Anna? I must have missed some news ! Yum that Mexican food looks amazing!!! Makes me wish I was there :) also who's the cute guy in the gray sweater?! can't wait for them to return to TV, love their family. Nice to see well mannered people who show love and kindness. I wish the whole family could return to tv. 19 kids was one of very few shows that my family really looked forward to each week. We don't even watch TLC any more. Their line up is just garbage. OH,last thoughts people. I would hope that everyone, not just Christians, are taking care of our beautiful planet. Stop dogging on this family about what they eat off of. With all of the kids that they have, that is and probably should be the least of their worries AND yours. No, with all the kids they have, it makes the problem of using wasteful plastic that many times worse. Great pics! Thanks for sharing. Spurgeon is so precious! I adore his chubby cheeks. Who is the man in the background of the first picture? Spurgeon is a handsome little guy, not to mention, he's just so darn cute!! 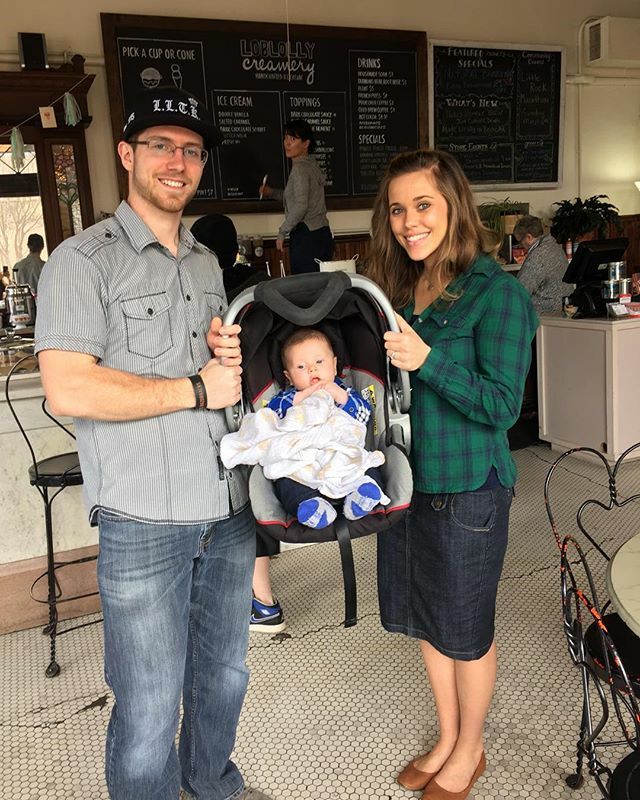 ☺️ Ben and Jessa have been blessed with a beautiful baby! Thank you so much for sharing these pics! Spurgeon is growing so fast! Haha.. God Bless all of you. He looks just like Jim Bob. Who is the guy top left in the first photo? Anna and Jana look especially beautiful and glowing. Who is the unnamed man in the photo? Little Spurgeon is super cute...his name suits him perfectly. Thanks for the photos! Spurgeon is the most adorable baby, and Jessa is just as gorgeous as ever:). Happy 28th Birthday Josh. I hope you're doing well. Keep up the good work. I'm always going to be your #1 fan. Keep improving everyday. What a dear soul you are whom ever posted this message. I agree with what you say "Happy Birthday to you Josh and keep improving every day!" God bless you who posted this to Josh, and also God bless you Josh and Anna and your beautiful children. Thank God for His grace mercy and forgiveness, every soul on earth needs it! @Annonymous March 3-8:54 AM. I hope you are Anna in disguise as you claim you will always be Josh's #1 fan. Otherwise it's just inappropriate and a bit creepy. Wouldn't josh be out in Feb? Spurgeon reminds me of James Duggar! Many of you are very observant! I didn't even see the guy in the first picture until I read the comments, but it makes me very hopeful that he is Jana's boyfriend! AHH it makes me super excited for the new season!! 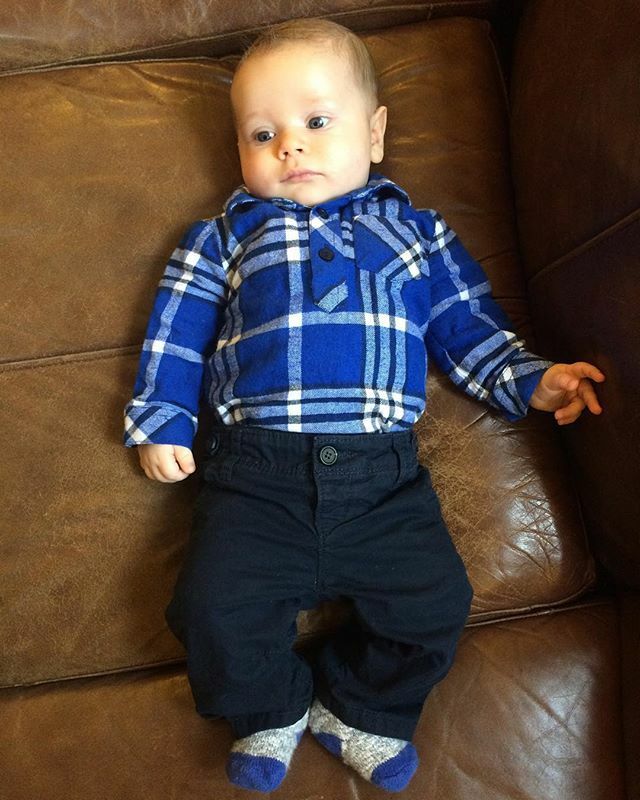 Baby Spurgeon is just the cutest! It was neat to see these pictures and to see/hear what's been happening! What do they call the baby? Spurgeon or Quincy ? I think they call him The Spurgster. Is Jana courting/dating? She seems to be hinting at something. Since it was valentines, I bet it is one of the girls' boyfriend! He is cute. Happy Birthday, Josh! I never forget your birthday because it is the same as mine. Praying for you. I can't wait to finally see Jana's boyfriend on the new season of the show! So happy for her! Hopefully she'll get married soon and have children of her own. I thought she might go to college or have a career but it seems like most of her time is spent at home watching the little ones. It'd be wonderful to see her start a life of her own! Happy birthday to,Josh .the pictures are very cute! I am dismayed as well about the careless use of dishware that is notoriously known to not decompose or bring any nutrients back to the earth. I feel very strongly that we all need to do our best to be good stewards of this earth. I wish they would show a little more concern as many others need to do also. Perhaps if the suppliers of these products would look at better & safer alternatives then we wouldn't even have to choose. But when it comes down to it, nobody is twisting our arms to use this stuff. Let's take care of this planet. For now it's the only one we've got! Aww...Spurgeon is absolutely adorable! He looks just like Jessa:) loved seeing all these pictures, thanks so much for sharing! By the way, there are compostable products out there. They're more expensive but better for the earth in the long run. Or they could just use regular dishes like the other person mentioned. I think that's the best idea of all. Look at that picture - tell me if you see anything there that will compost or decompose, other than the food scraps & eventually, the human beings. That little Spurgeon is above and beyond precious! I used to dress my son up like that.. little flannel shirts, dress clothes, and comb his hair like that years ago! Love him and the family! The baby is super cute! Jana is glowing! The baby is beautiful. God is faithful!! I love the Duggars family!! It looks as if Jessa has cut her hair. If she hasn't, it would look super cute to her shoulders! I do wonder if that isn't Jana's boyfriend too. I see cut outs of hearts on the wall. Valentines dinner?